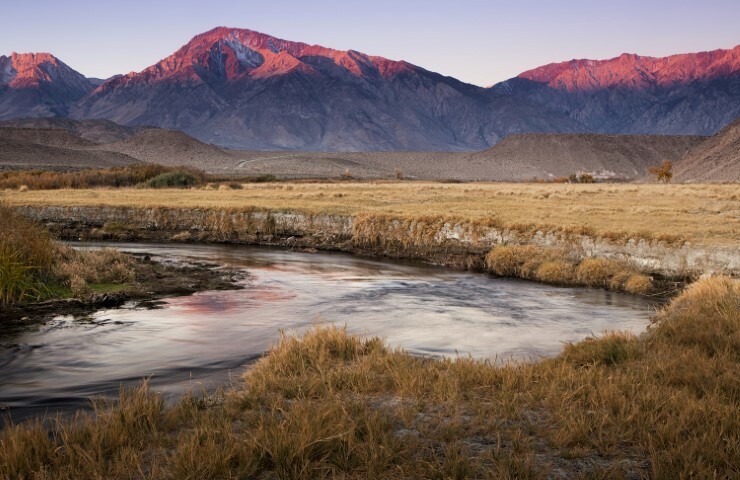 When it comes to hiking and sightseeing in the beautiful state of California, there is nothing quite like the spectacular views and trails of Mammoth Lakes, California! 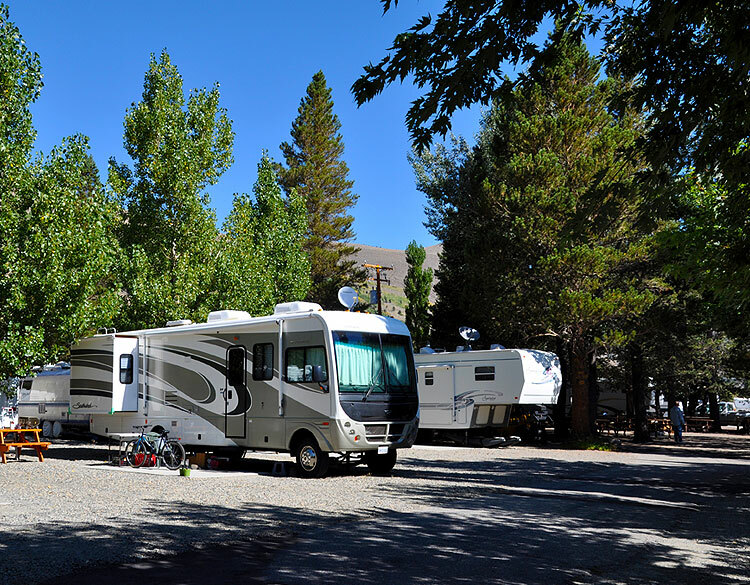 So if you find yourself planning a Mammoth Lakes camping trip this season, don’t forget to make enough time for discovering all of the hiking and sightseeing that comes with Mammoth Lakes Camping! 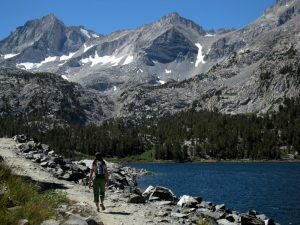 Hiking and sightseeing in Mammoth Lakes is a unique experience because of the abundance of natural beauty–from the trails at Inyo National Forest and the Lake Basin Area, to the historic landmarks at Red’s Meadow and Yosemite National Park–there are an endless variety of hiking and sightseeing destinations to explore when camping in the gorgeous Mammoth Lakes area! 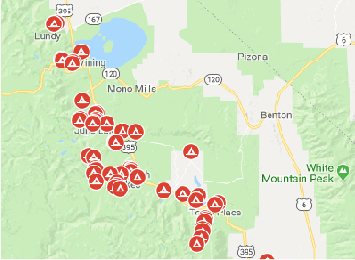 There are literally hundreds of miles of hiking trails throughout the entire region while Mammoth Lakes Camping, and one of the best things about hiking in Mammoth Lakes is that there are no group guided trails and large crowds, which is ideal because it really allows hikers and sightseers to become fully immersed in all of the surrounding natural beauty. Take the Lake Basin Area for instance, which is located off of Mary Road near Lake George, and is an excellent spot for enjoying some shorter-distance hikes for families with children, as there are a several hiking trails in this area that still offer the breathtaking beauty but with a little less trekking! 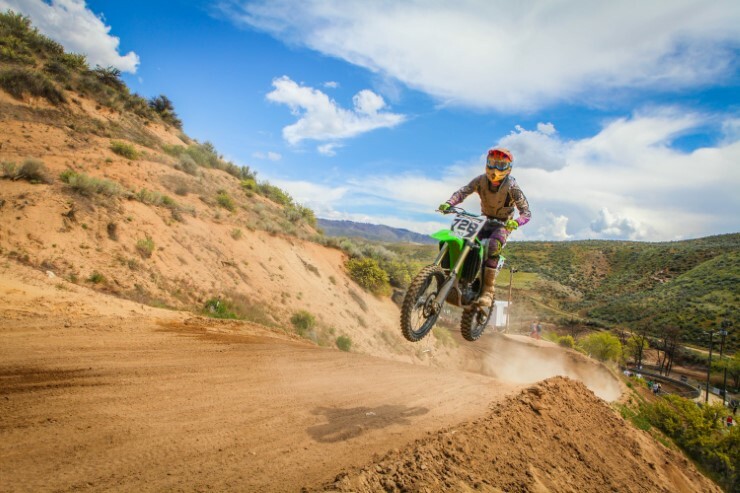 If you are seeking a hiking trail while camping next to water, there are also plenty of hiking trails located right next to running creeks, rivers, and even stunning lakeside trials. Rock Creek is one such hiking trail, as the majority of the trail runs parallel to a creek rushing through the beautiful glacier-carved canyons, which are encompassed in a lush assortment of trees and colorful foliage. Rock Creek is one of the Mammoth Lakes sightseeing spots that are most rewarding to visit in October, so plan accordingly! In addition to the multitude of hiking trails available while Mammoth Lakes Camping which offer stunning views of nature’s rugged beauty, there are even more opportunities for memorable hiking and sightseeing adventures in areas like Red’s Meadow, Mono Lake, and Yosemite National Park. One of the most stunning natural landmarks in the region is the Devils Postpile National Monument, located in Red’s Meadow. What makes this gorgeous rock formation so unique and memorable are its 60-foot vertical columns of basalt rock that have formed by a lava flow nearly 100,000 years ago. The Devils Postpile is an absolute must-see if you are in the Mammoth Lakes region for hiking and sightseeing, because at this stop, you will get the best of both worlds! While at this historic landmark, make the easy two-mile hike over to Rainbow Falls for a fantastic view of San Joaquin River falling over the 100-foot drop, cascading a gorgeous array of colors as the water falls over the drop, hence the name! Finally, don’t miss out on all of the natural wonders spread throughout the one and only Yosemite National Park, because this national treasure is full of the very best of California’s best hiking and sightseeing spots! A Mammoth Lakes camping trip is the perfect opportunity for you and your family to experience not only hiking and sightseeing in Mammoth Lakes itself, but all of the surrounding beautiful areas as well, so remember to take advantage of all the hiking and sightseeing adventures in California this year!